Sometimes you need a couple of big speakers, but can't necessarily afford them. Don't panic! There are some speakers with an 8-inch woofer that can manage the low end quite decently without setting you back more than 700€ (about $800). We haven't tested all of them, but you probably have had (or have) the chance to listen to most of them. So far we have focused on the room that will accommodate your home studio, its soundproofing and acoustics. The time has come to start thinking about everything that will go inside. Let's begin with the one thing you can't do without: a monitoring system. 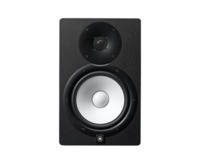 Dynaudio Pro have announced the launch of their new LYD Range of Studio Monitors. In addition to two new subwoofer models, Genelec is also presenting two new monitors, the 8340A and 8350A. Genelec introduces the 7360A and 7370A, two new subwoofer models. Genelec presents the 8430 IP Network Compatible SAM Studio Monitor, which is compliant with the AES67 and Ravenna industry standards. Tascam has presented the VL-S3BT monitors, a variation on the brand's VL-S3 with additional Bluetooth feature.